Researching 10 Tips on how to store nuts for food storage isn't exactly the thing most mothers do the week their eldest son gets married, but researching seems to relax me. I am so excited for my son Joshua's wedding to his beautiful bride, Melissa! We have a great weekend ahead of us. Nuts need to be stored carefully because of their high oil/fat content. They will go rancid if not stored properly. The definition of rancid is "having a rank smell or taste usually due to a chemical change or decomposition." A rancid nut can upset your stomach. They are yucky. Nuts store longest in the freezer (about 8 months to a year), but they can be stored in the refrigerator for about 4 months. Unsalted nuts stay fresher longer than salted nuts. Whole nuts last longer than chopped nuts. Nuts in the shell store longer than nuts out of the shell. However, if you are limited on freezer space, replenish shelled nuts often. Mark the container with the date you purchased the nuts. 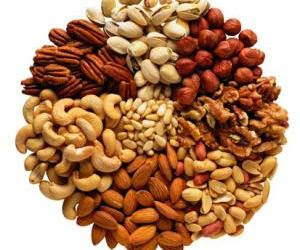 Nuts are high in fiber, fat (primarily unsaturated fat) and protein. Smell, then taste a nut before using. Here is an interesting 5 minute video on how pistachios are harvested and processed. 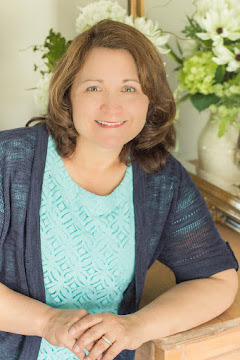 Also, go to Wendy Dewitt's blog EverythingUnderthesun.Read her post and look for Vacuum Sealing Foods as she discusses using the Foodsaver Mason jar attachment. hehe...maybe researching nuts is the subconscious of what wedding planning will do to you? Hi! This is a great article! I canned walnuts, almonds, pecans & white & chocolate chips in #10 cans between 4-5 years ago. Each in their own can and I didn't use any oxy packs. I stored them in a bedroom closet. I recently opened them and they tasted great and were still fresh and crisp like the day I packed them! I couldn't afford a food saver machine, so I bought just the jar lid attachment and a manual vacuum pump. It wI'll create the same amount of vacuum as the foodsaver -about a minute for a quart size jar. Half gallons are more effort, smaller jars less. It works grear, does t depend on electricity, and seems to work very well for dry goods. I use this for any of the fruits or veggies I dehydrate, coffee, tea, pasta, and pLan to try this with some whole almonds and sunflower seeds.